From Basil Rathbone to Ian McKellen, the role of Sherlock Holmes has been essayed by some of our greatest screen actors. And now Arthur Conan Doyle’s idiosyncratic detective is going to be played by Will Ferrell, joined by his Step Brothers co-star John C Reilly, in Holmes & Watson. As that headlining cast and below trailer will no doubt have tipped you off, this is a less reverent, less intelligent and less faithful adaptation of the characters than even Sherlock. 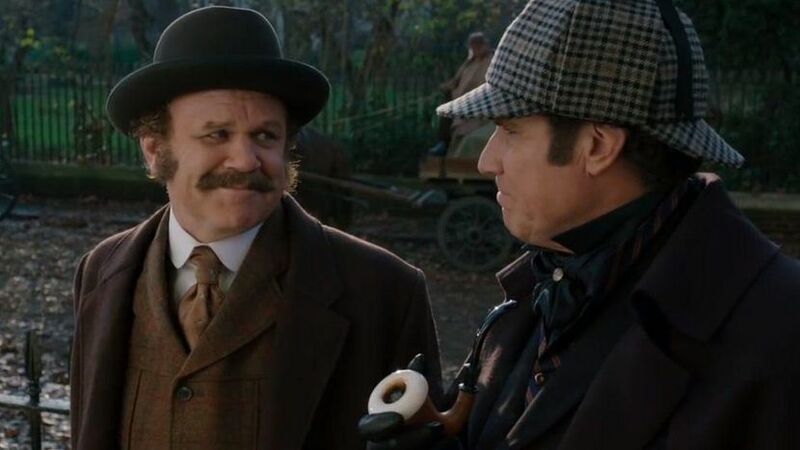 Written and directed by Etan Cohen, who brought us Get Hard and Tropic Thunder, this comedic take on Holmes & Watson offers a fairly scattershot takedown of the pompous detective and his equally aristocratic sidekick. For every cringe-inducing gag in this first teaser (your mileage on the self-portrait camera may vary), there are moments which capture the anarchic, chaotic and blissfully silly chemistry Ferrell and Reilly exhibited in Step Brothers and Talladega Nights, those Adam McKay collaborations from back before the Anchorman director thought he was a dramatic filmmaker. Killer bees! Amazing disguises! Fancying the Queen! We also get brief glimpses of a truly impressive all-star cast of British actors, most of whom I’d like to see in a straight Holmes film someday: Ralph Fiennes as Moriarty, Rob Brydon as Inspector Lestrade, Kelly Macdonald as Rose Hudson, Hugh Laurie as Sherlock’s brother Mycroft, and Steve Coogan in an unspecified role. There’s also Rebecca Hall as an original character joined by podcast star and Orange is the New Black bit player Lauren Lapkus. Let’s also take a moment to appreciate this trailer does not go for any obvious “elementary, my dear…” jokes, which I know is a hard temptation to shake off, since I’ve been battling it for the entirety of this write-up. Holmes & Watson will be released on December 21 2018.